I have a guest post today from the wonderful Kate Trout of Maternity Glow, a website for new and expectant mothers. 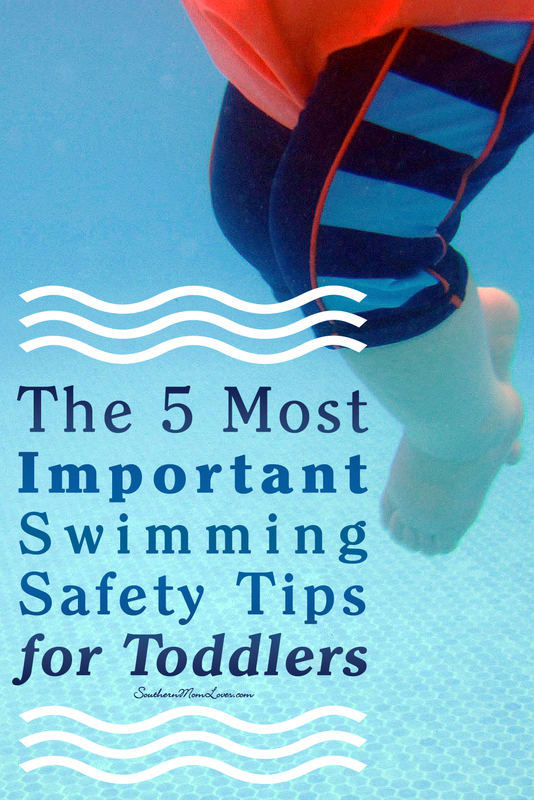 She's written a super-informative post listing the 5 most important swimming safety tips for toddlers that can help you keep your little ones safe this summer. Take it away Kate! With swim season right around the corner, it’s super important to start thinking about how you can keep your toddler safe while in the water. It’s always wise to be prepared so you can make sure you are responsible and up to date with safety procedures. Toddlers are tempted by water and may not always make the best choices. So, it's our jobs as parents to be there to make good and safe choices for them. Here are five tips to consider before swimming this summer. CPR is essential to ensure your child’s safety. And, both parents (or any caretaker) should learn the practice if they are going to be taking a toddler near any form of water. Toddlers are impulsive and some are very daring. You never know if they’ll take a flying leap into the pool before you even get their safety device out of your bag. If something should happen, it’s important to know you are able to respond quickly, or until other help is on the way. Your community is probably filled with classes and resources in order to get you certified and up to date with the techniques that can save your child’s life. Contact your local agencies or go online to learn how you can act now! 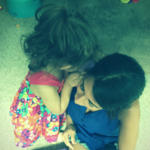 I’ve once heard that kids are like the ocean; you should never turn your back on them. 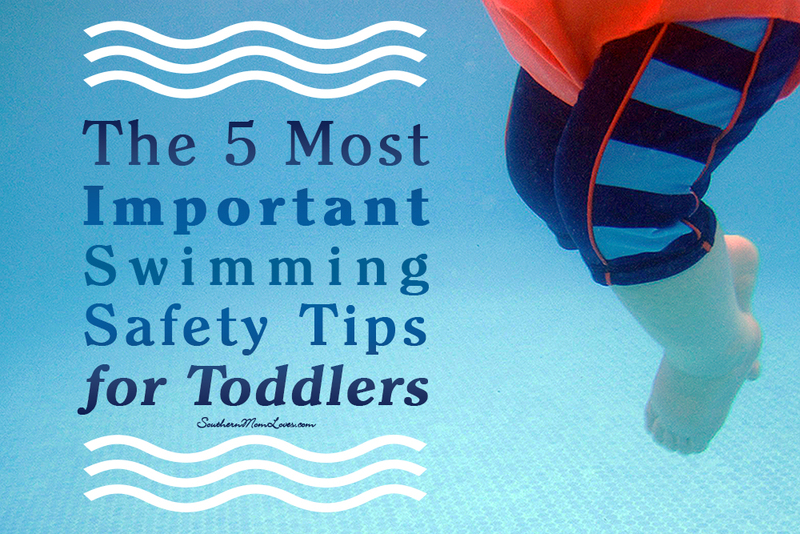 If your toddler is in the water, you should be in there too, or your eyes should be glued to them. You never know if they’ll bump their head, get a mouthful of water, or get flipped upside down in a swimming tube. Toddlers also tend to panic when in the water because they aren’t overly comfortable or familiar with it. They’re still super little and aren’t able to necessarily call for help or quickly respond to an emergency. When you are give your toddler your full attention while swimming, accidents are less likely to happen and you can eliminate the need to practice the CPR techniques that you’ve learned! Swim diapers are mainly used to contain solid substances. You’d hate to be the person who has to be responsible for an entire public pool shut down! When you use a swim diaper, you are not only protecting yourself from a big mess, but you are protecting others from germs, bacteria, and other yucky stuff that could make other kids pretty sick. If you are concerned about exposing your toddler to the chemicals in disposable swim diapers, then seriously consider a swim diaper shell, which doesn’t do a great job of containing liquid, but can take an organic and natural approach to containing solids. I have a whole guide to using swim diapers on my website (link in bio below) if you want to learn more. Start slow when it comes to introducing your toddler to the water. Once they become comfortable, practice putting your child on their back and show them basic strokes. But, not everyone is a teacher. So, if you don’t feel like you are capable of teaching your toddler to swim effectively, you can enroll them in swim class at your local fitness center, or hire a private teacher for your pool. Once your child gets used to the water, they will get used to rules, and used to moving their body in a way that keeps them afloat. They will learn techniques to get them on their back when wearing a flotation device, and will be less likely to panic if they sense they may be in trouble in the water because they’ve had extensive training and are on their way to becoming proficient swimmers. When you're taking your toddler on a boat or venturing out into open bodies of water, it's a must to use an infant life jacket. Be sure to know your toddler’s exact weight so you can pick out the correct life jacket size, and also the correct class for boating and rough waters. There are a number of life jackets on the market that can accommodate your water needs and also your child’s comfort and safety. If you're unsure how to select one, you can check out my guide (link in bio below) to find more information. Summer is a time to be out and about. But, when you have a toddler, you have to be on your toes in order to keep them safe. Consider these five safety tips and educate others who will also be spending time with your child in the water to make sure everyone is on the same swim safety page! Do you swim with your babies or toddlers? What are your favorite safety tips and tricks? I love to read your comments!